Caption slip reads: "Photographer: Gray. Date: 1956-03-26. Assignment: Humphrey interview. 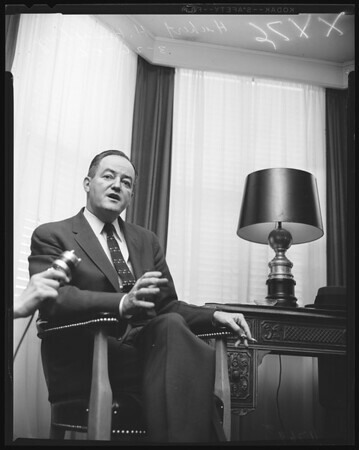 75/76: Senator Hubert H. Humphrey at Ambassador. 17/18: Thru mirror".